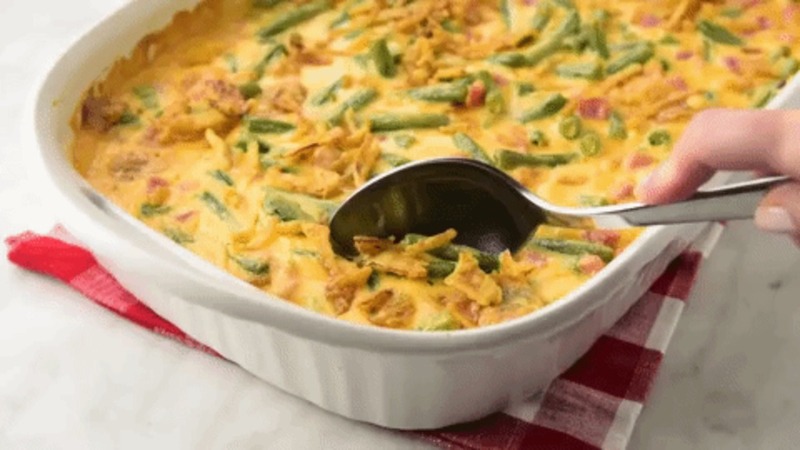 Ham and Cheese Green Bean Casserole - GetCooking! Betty Crocker’s – Ham and Cheese Green Bean Casserole recipe. This is no ordinary spin on the classic casserole. Studded with ham and bathed in an indulgent cheese sauce, it’s certain to be a show-stealer at every occasion. View the original recipe notes here: Betty Crocker’s – Ham and Cheese Green Bean Casserole.